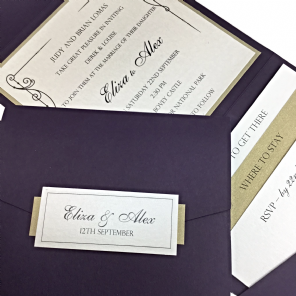 Available as both a pocketfold or a wallet this contemporary design is loved by all. Available in virtually any colour! 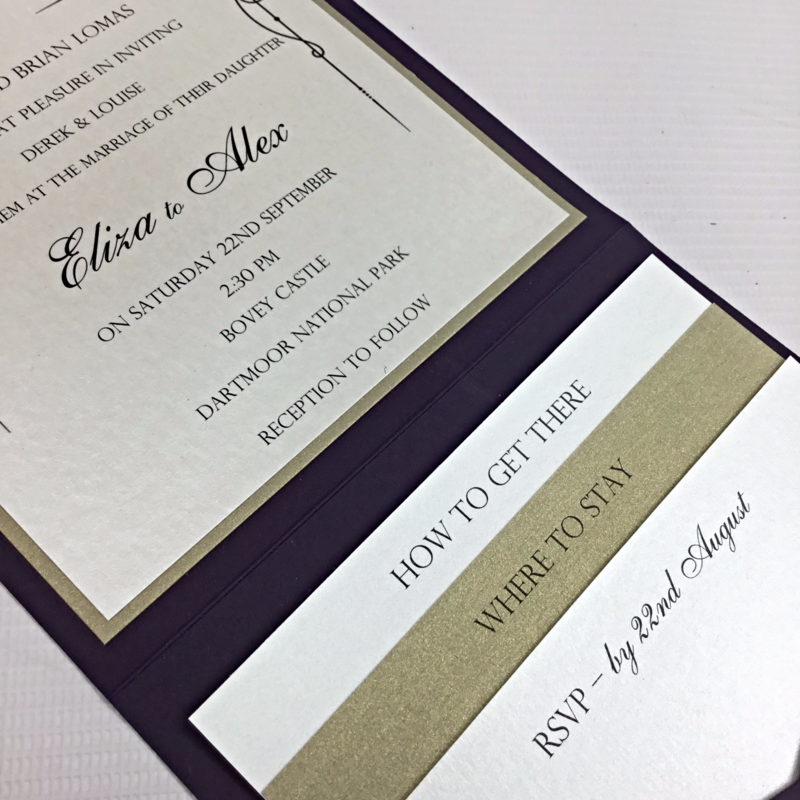 Our wedding invitations were beautifully made, we were able to change the colour to match our wedding theme and customise the wording to add our own personal touch. 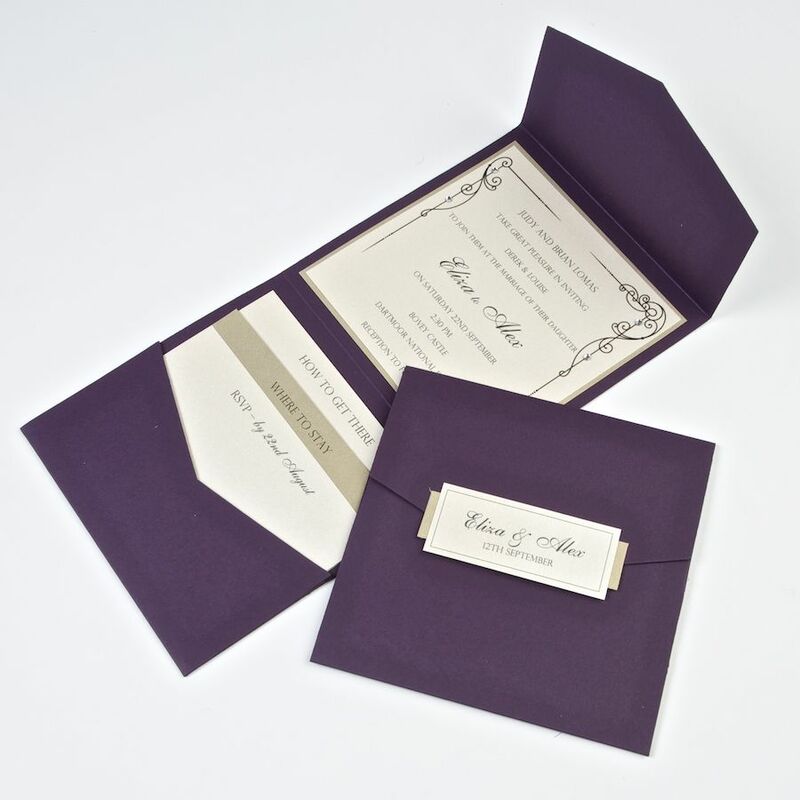 I found pocketfold to be professional yet friendly throughout and always kept us up to date with the process. 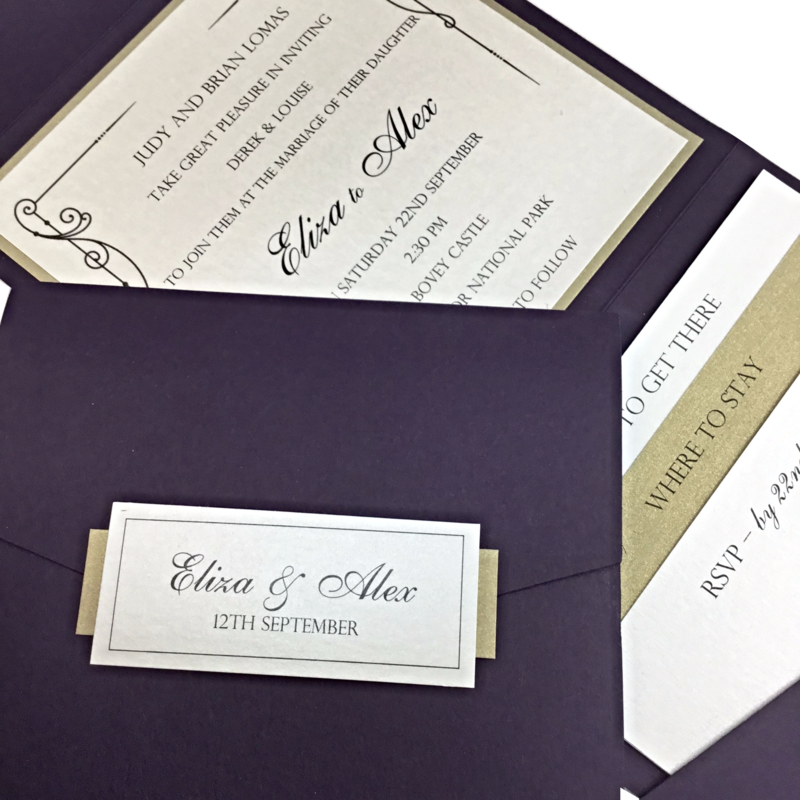 I am more than happy with the end result and can't wait for my guests to receive their invites. Definitely recommend using pocketfold! Pocket fold you rock! All of my guests have commented on how fabulous the invitations were........ thank you once again for being so darn brilliant! 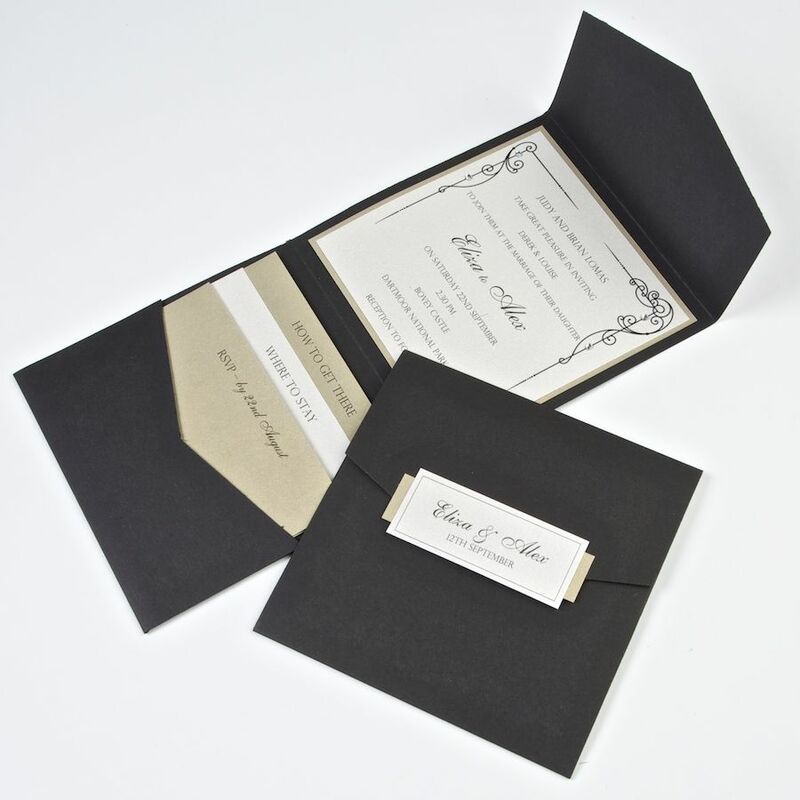 The invitations looked wonderful by the way and I am already getting positive responses from my guests. I've already recommended your site to a few people now. So Well Done to everyone there for their hard work and efficiency. I can't emphasis enough how important that has been. I have received my previous order and I wish to thank you and your team for an excellent product and fantastic service. I was so pleased I have now placed a second order. All of our family and friends have loved the wedding invites so we really cannot thank you enough, we were so pleased with them.